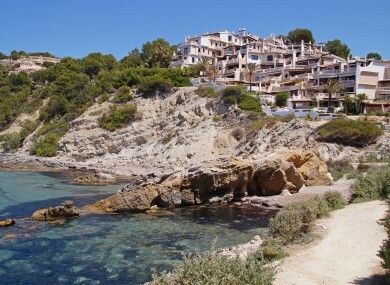 AN IRISHMAN HAS been shot dead in a Majorcan holiday resort in a suspected gangland attack. The man was shot outside an empty supermarket in Costa de la Calma around 15 miles from the capital Palma just after 9pm this evening. The Department of Foreign Affairs says it is aware of the shooting and ready to provide consular assistance. While the shooting is believed to be connected to the ongoing Hutch-Kinahan gangland feud, the victim’s identity is not yet known and some reports suggest the shooting may have been a case of mistaken identity. Police are said to be hunting up to three assailants. A bar owner, who asked not to be named, said: “I heard three shots but there were apparently four and then saw a man with a blue hoodie pulled tight over his face run by. “I didn’t realise at first they were gunshots. I thought it was kids playing with firecrackers. But then I heard people screaming and people came rushing into the bar to seek refuge. A spokesman for the Civil Guard was unable to confirm the nationality of the victim, although local reports said he was Irish and officers at the scene also described him as an Irishman. The spokesman said: “A man was shot in the back around 9.05pm local time in a street in Costa de la Calma. “Officers are still at the scene. Email “Irishman shot dead outside supermarket in Majorca”. Feedback on “Irishman shot dead outside supermarket in Majorca”.